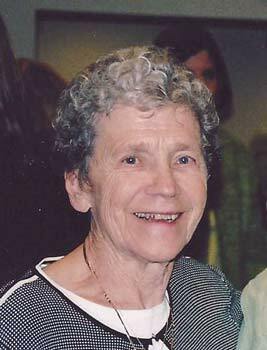 Frances T. “Fran” Riley, nee Prasch, 91, of Norwood Park. Devoted and loving wife of the late Bernard J. Riley. Dear sister of the late Marge Rollett, Genevieve Mahoney, John Philip Prasch. Loving mother of Mary Fran (Frank Maggio) Riley, Tim (Yvonne) Riley, Pat (Denny) Berkery, Kathy (Pete) Krauskopf, Peggy (Peter) Walsh and Colleen Riley. Proud grandmother of Nell (Mike Starr) and Nick Maggio, Meghan (Luke) Riley Wiesbrock, Molly and Shannon Berkery, Nora Krauskopf, Maggie and Dan Walsh, Wil and Antony DeCero. Great Grandmother of Evelyn Wiesbrock and Samuel Starr. Cherished aunt to many nieces and nephews. 40 year friend of Lois W. Visitation Wednesday, March 27, 2019 at the M J Suerth Funeral Home, 6754 N. Northwest Hwy. Chicago from 3-9 pm. Thursday visitation at Suerths from 9:00 to 10:00 followed by 10:30 Mass at St. Thecla Church, 6725 W. Devon, Chicago (Devon and Oak Park Aves). Interment Queen of Heaven Cemetery. In lieu of flowers memorials to Rainbow Hospice www.rainbowhospice.org and Misericordia www.misercordia.com For further information 773-631-1240 or www.suerth.com.